The most sought-after 'Tirupati Laddu' has caused an annual loss of over Rs 140 crore to the cash-rich administration of Lord Venkateswara hill shrine for the last three years owing to its subsidised price and free distribution to some devotees, temple sources said. The mouth-watering sweet dish has been sold by the Tirumala Tirupati Devasthanam (TTD) at a subsidised price of Rs 25 per piece for the last 11 years while the actual cost was about Rs 32.50, the sources said. In 2016, about ten crore pieces of laddu (ball-shaped sweet) were made and sold, they told PTI. 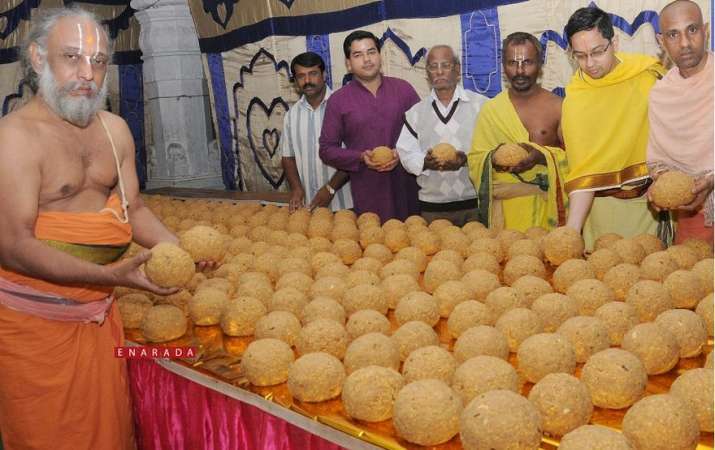 Besides the burden caused by subsidy, TTD also incurs more loss selling the laddu at Rs 10 per piece to devotees who opt for free darshan and wait for several hours in long queues, resulting in a loss of about Rs 23 crore, the sources said. The introduction of one free laddu to each devotee who treks 11-kilometre long stairway leading to the temple from the foot of the hills also adds about Rs 22.7 crore to the annual loss. The scheme was introduced in October 2013 with an aim to encourage the age-old traditional way of reaching the sacred hills on foot. Since then, on an average about 70 lakh devotees visit the temple by climbing the hills on foot annually, they said. More than 70 lakh devotees who avail Rs 300 special entry darshan and Rs 500 VIP darshan tickets were also getting two laddus free. 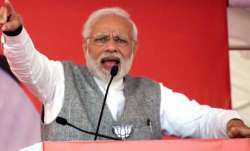 However, the sources said the TTD was not keen on increasing the price of the laddu to offset the losses and might consider cutting down the number of free laddus given to ticket holders. Interestingly, the laddu used as prasad was introduced in the 2000-year old hill temple only about 100 years ago during the British era. Earlier, 'atherasam' or 'aresu', a sweet made of jaggery and rice, used to be the prasad (offering) at the temple for ages. During the rule of mahants designated and posted as 'Vichaarana Karthas' of the temple by the British, the laddu prasad was introduced, the sources added.